The Bowen technique is an entirely different concept for the treatment of the body. It is not similar to other practices. Bowen treatment consists of gentle movements made with the thumbs and fingers,either directly on the skin or through thin clothes if preferred. The therapist does not use strong pressure or manipulation. The client feels gentle touches in certain areas of the body as the practitioner creates vibrations to deliver signals to the nervous system. Some clients say that they feel warm flushes passing through different parts of the body during the movements. After each set of movements, there is a pause of two or more minutes,when the therapist leaves the room and the client is left alone. The atmosphere during the treatment is very simple, with no aromatic candles and lamps, and without drifting music as is often used for spa therapy. This is an opportunity for total relaxation. During the pauses between the movements clients unwind and feel lighter, they may even fall asleep. The body’s nervous system responds to the messages that the therapist sends by making small specific movements and this activates the healing process. The technique affects the muscles, ligaments and connective tissue structures. The Bowen technique can be effective for a wide range of conditions and the therapy does not conflict with medications or surgical procedures. Indeed it complements and supports the healing process considerably. There are a few, very specific situations in which a particular Bowen procedure or movement is not suitable; otherwise, the Bowen technique is appropriate to use for individuals of all ages and in all degrees of health. Many who have tried the Bowen technique consider it to be miraculous. It has been proved that the method of treatment is completely harmless as it is simply allowing the body to heal itself with minimal intervention. There are even cases recorded where the treatment has removed the need for medication or surgery. Acute problems are usually addressed by three to six sessions, but chronic or long-term conditions may require more extended treatment. All procedures are performed no more frequently than once a week because the body needs time between sessions to respond to the signals created by the therapist. This is why Bowen therapy should not be combined with other types of treatments, such as massages or physiotherapy, or intensive fitness regimes. The Bowen technique can treat the whole body because with their movements the therapist is activating the body’s natural healing mechanisms. The treatment allows the body to bring itself back into balance and harmony; and to purify itself from the effects of accumulated toxins, trauma and negative emotions. Even the most sceptical client may be treated provided the technique is performed by an appropriately qualified therapist. And it is not simply a placebo effect as this cannot explain the successful treatment of babies using the Bowen technique. What can the Bowen technique be used for? Bowen technique can be beneficial in a wide range of situations and can assist recovery from many conditions, ranging from traumatic injury to chronic illness, depending upon each individual’s capacity to heal. 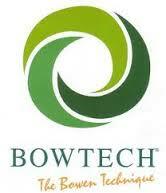 Many clients report that Bowen technique is the most relaxing treatment they have ever experienced.